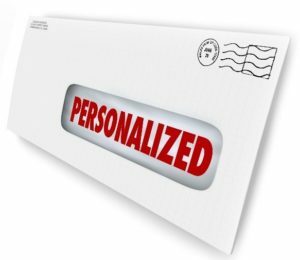 An IT marketing campaign without a directed effort at personalization is likely to yield less than it could, especially as pertains to email outreach. Spam isn’t personalized, but sometimes you’ll open messages addressing you by name. You must do more than merely communicate. Your target demographics are likely part of a “set”. They’re a group, they have an identity. There are things they like and things they hate. Here’s an easy way to look at it: Star Trek and Star Wars have long had rivalry among fan communities; though both are Sci-Fi. Your MSP provides tech services to demographically similar clients, but just because Jedi and Trekkies are science fiction fans doesn’t mean you treat them exactly the same. Figure out what “tribe” your target demographic belongs to, and communicate appropriately. If you can ‘t write out a long email, don’t act like you did. Plugging a name into a template is pretty obvious, unless you author significant portions of the template. With IT marketing email outreach, you’re likely going to have fewer and more qualitative leads, allowing you to put more time into personalization than many other businesses. Doing so, transparency builds prospect trust. Any action from clients, good or bad, should be responded to by you. If they lash out unreasonably, delete them. If they lash out reasonably, address concerns. If they ask for information, give it to them. Do so promptly and professionally. An IT marketing campaign that responds quickly to client signals, is transparent, and resonates will have more successful personalization. Consider where you’re at presently and whether there is room for improvement in your personalization techniques. Bill Hogan is President of Partners Plus. A fast growing IT Support firm based in the Philadelphia area. Bill has been helping make life with business computers easier since 1981. His education as an Electrical Engineer at Penn State started a dual approach toward gaining expertise in both programming and computer networks. In 1991 he formed Partners Plus, Inc., to provide managed IT services to companies in the Philadelphia metropolitan area, based on being a business operations ally and understanding the need to speak to company leaders in plain English rather than ‘techno-babble’. And while others tend to focus their attention on the mechanical components of a computer system, Bill and his staff take a more global approach - how a network can be best used as an integral, reliable asset to the business owner’s goals. In 2007, after years of frustration with the sub-standard services he saw during network audits, Bill published “Hassle Free Computer Support” to educate business owners with the information they need to get superior technical support for their businesses A firm believer in keeping current with advances in technology and processes, Bill lead Partners Plus to become a Microsoft Certified Partner in 1998 and a Gold Certified Partner in 2008. And, Partners Plus Inc. has been selected by Microsoft as being in the top 1% of Partners serving the Small and Medium Business Market on the East Coast. Bill is internationally certified in Network Operations and is certified by Microsoft in project management and multiple Microsoft technologies. He also held the position of representative for the Mid-Atlantic region on Microsoft’s Advisory Board which manages all Microsoft Small Business certified partners. Partners Plus provides managed it services to clients in Philadelphia and the Delaware Valley and helps them choose, implement, and manage IT and cloud solutions that are cost effective and reliable. Partners Plus’ pro-active approach to IT support is ideally suited for companies in Wilmington, Delaware or Philadelphia who depend on reliable IT infrastructure, but don’t want to spend a lot of money to keep your IT services in Delaware that way. Partners Plus clients have come to appreciate the Partners Plus team focus on operations and the ability to get the core of problems quickly, and the knowledge of how to resolve issues as quickly as possible. With the institution of the Partners Plus Protection Program, the company can now monitor, identify and resolve many network issues in minutes without coming onsite.